Los Angeles has a traffic problem, Mars has a radiation problem… Elon Musk has a boring machine, but is it headed for LA or Mars, and is he throwing us a red herring…? 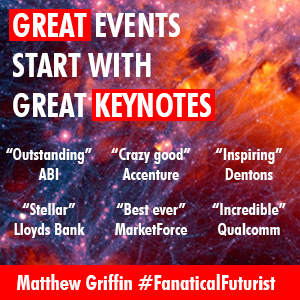 After Elon Musk launched his latest company, Neuralink, whose sole purpose in life is to re-create the Neural Lace, a nanotech “injectable electronic device” that will hook us all into Artificial Intelligence (AI) we almost forgot that the CEO of both Tesla and SpaceX, who’s also got his sights on colonising Mars, also recently launched yet another startup – the Boring Company, to solve Los Angeles’ traffic woes. Alledgedly. Bearing in mind that the boring machine first appeared at SpaceX’s headquarters in Hawthorne, California, and also bearing in mind that if you want to avoid radiation on the surface of a planet – like Mars – then tunnels are a great option you have to ask the question – is Musk’s real goal here LA or Mars? Or both? Sure Tunnel Boring Machines (TBM’s), as they’re known are heavy, coming in at 1,200 tons and much much more, but the Falcon Heavy can lift 63,800kg per launch and maybe Musk thinks he can 3D print the rest of the TBM’s parts on the surface of the planet. If you think that’s far fetched then it might not be as far fetched as you think with companies like NASA and others looking to leverage 3D printing to print everything from equipment to habitats. Crazier things have happened and Musk is a visionary after all. 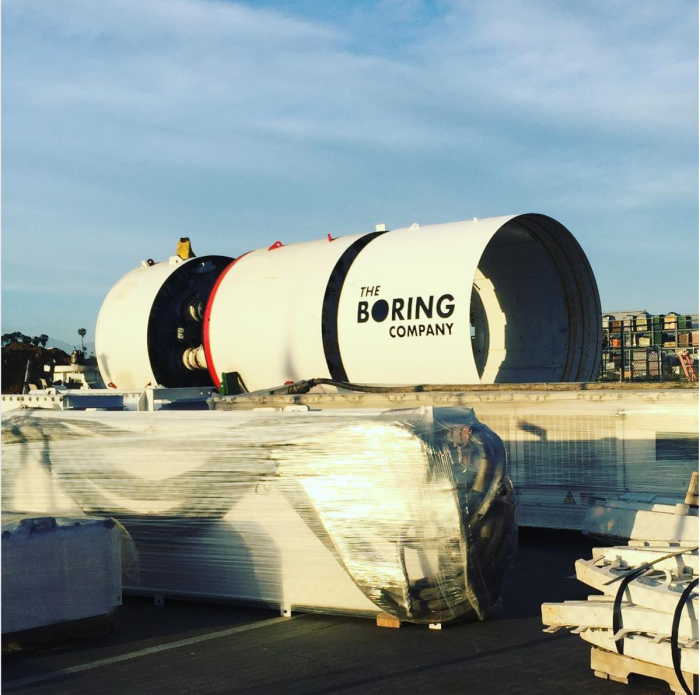 Anyway, back to the Boring Company, the company aims to make important advancements in the cost and speed of digging tunnels in order to solve transportation problems in cities, and they recently took delivery of its their first giant boring machine. In February, Musk was looking at purchasing a used Herrenknecht boring machine, which is about 26 feet in diameter, about 400 feet long, and weighs 1,200 tons. 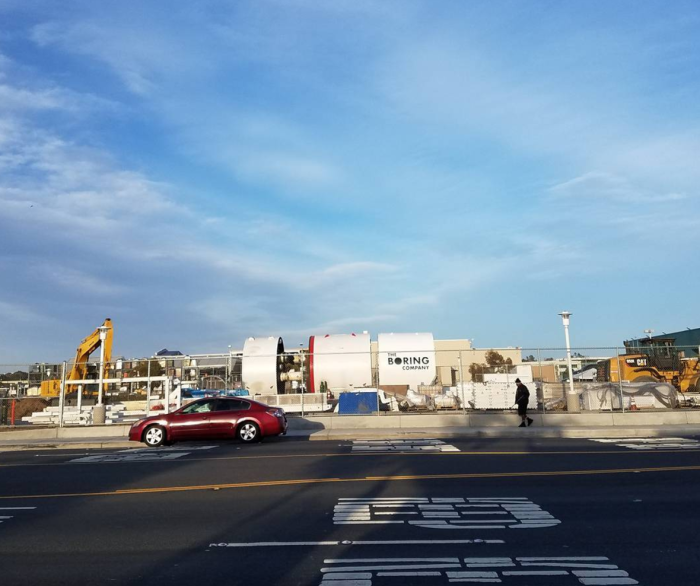 The giant machine was in Washington at the time, and it’s not clear if it’s the same machine that has just arrived at SpaceX’s headquarters, but it is certainly similar in size. 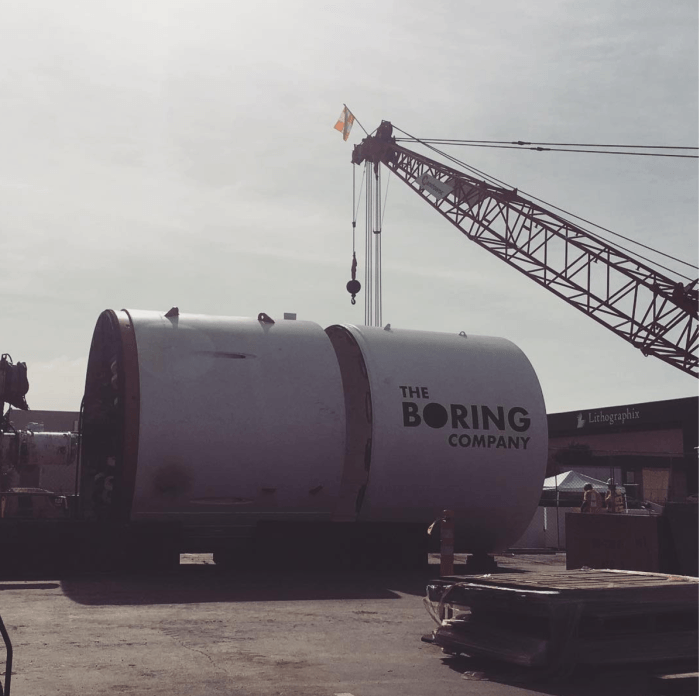 The boring machine arrived late last week and is being positioned in SpaceX’s parking lot where they have already been digging a hole in the ground, however, as for the question when will they start digging holes under Los Angeles, well that’s anyone’s guess. Intersting article, and good points. He always seems to be three steps ahead of the curve and thinking bigger than he probably lets on. Who’s to say if these are ultimately for Mars? Could be. Will be interesting to see what he will accomplish.